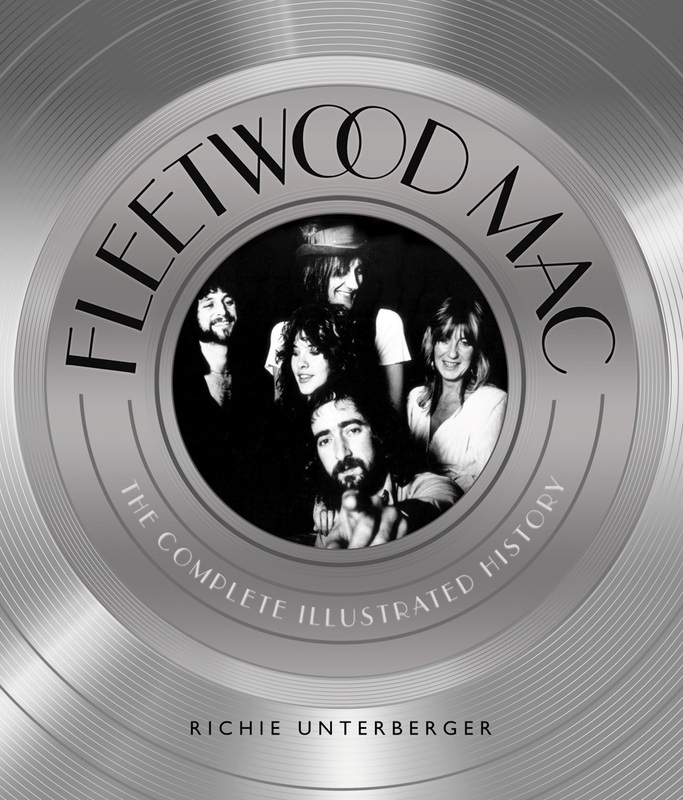 There's a big new book on FM coming out next month, FLEETWOOD MAC: THE COMPLETE ILLUSTRATED HISTORY. is a willingness to persevere through adversity that would have stopped almost every other band time after time. Never was the adversity worse, in fact, than when they were recording Rumours, during which the band nearly split up—and the two romantic couples within the band did split up. I have the book. I'm going to dive into it tomorrow, but I was surprised when I glanced through it at how much exposition there was. I was expecting more pictures, kind of like the Mick Fleetwood photo book that came out when the Chain box set was released. I'm imagining it to be like 'Fleetwood Mac, the Definitive History' by Mike Evans. Is it along those lines? Is there anything extra? Well, I was pretty disappointed with the book. There is absolutely nothing new here. Everything in it is from another source, like previous interviews or conjecture from the author. 207 pages, include a lengthy discography, index, and bibliography. There are a handful of mistakes, for example "Over My Head" is referred to as "Out of My Head." I was expecting many more photographs of the band, considering the title of the book, so that was a huge disappointment. The Rick Vito/Billy Burnette era is shamefully glossed over, with not one photo of that incarnation. Not one! There's a b/w photo of Stevie live in Rotterdam in June 1988, a color photo of Stevie and Rick on the final night of the BTM tour, and another b/w photo undated and live but also looking very much like the last night of the BTM tour. That's it. Not one photo of poor Billy or any of the others, together or separate. Ridiculous. Also, no pictures of Bekka Bramlett or Dave Mason, or that incarnation of the band, either. Nothing about FM's performance at the Super Bowl pre-show. One paragraph about the Clinton inaugural ball. One sentence about the U.S. festival. Each FM album gets a review, all by different people and none were names I recognized, with no date either, so I don't know if they were written at the time of the release or just now for this book. And they're boring reviews too, for that matter. Also, some of the photos are actually a waste of space- a picture of the top of people's heads at their performance on the Today show in 2014- with one person clapping with their hands raised. Was the writer trying to say the band was past their prime? A picture of the Tango CD AND the concert video? Why? They're the same image! Pictures of the 45 singles- not even the sleeves, mind you, but the actual 45s themselves- again, why? No group photos from the Tango era, either. None from Mirage,either. Very bizarre. So my complaints are kind of ironic- not enough photographs and too many unnecessary or uninteresting photographs. I am a huge FM fan, and I regret buying this. If anyone has any specific questions about the book they want answered before they buy this, feel free to ask and I'll answer the best to my ability. It sounds pretty awful. I'd be particularly interested in learning more about the BTM and Time bands. To have little/nothing concerning that period is ridiculous. It's not a complete illustrated history of the band as far as I am concerned- stupid. Mick's latest book also glossed over the Rick and Billy era. Even the Mirage part was barely mentioned. His first book spent lots of time about Mirage making, the tour, and his financial situations. I wanted to read about the Rick and Billy era and how everyone got along and what were the issues and about BTM. The only thing Mick mentioned was Billy was a huge drinker with him during the tours. I got this book as a gift this week. I agree with some of the comments about its content or lack there of but it's a great addition to my collection. It's also a great coffee table book (which is where it's displayed) for the casual fan to pick up when visiting my home.